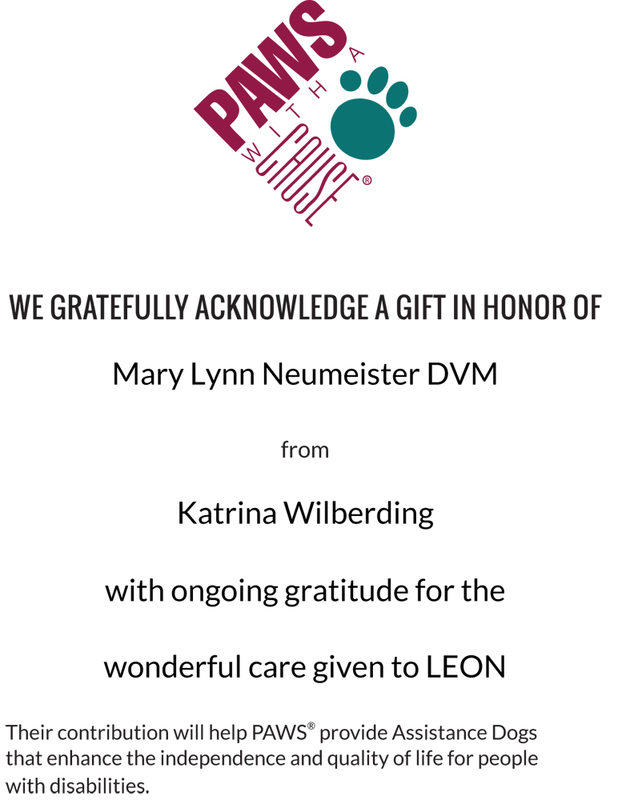 Neumeister Animal Hospital has proudly contributed to organizations with special meaning to our family. Dr. William C. Neumeister served as president of the Tuberculosis Society and initiated testing of students for tuberculosis, inspired to aid in the prevention of further deaths as four of his eight aunts and uncles died of TB by the time they were forty years old. Aunt Pauline spent some of her last days at Sunnycrest Sanatorium for tuberculosis, here in Dubuque. 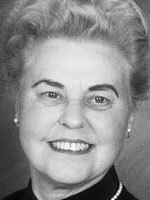 Mary Helen Neumeister was one of the three women who initiated a program through the YWCA for battered women. She served on the board of directors and board of trustees for many years. 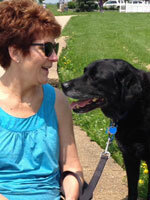 Dr. Neumeister sponsors the following dogs to help giving back to Dubuque residents who contribute(d) to our community. 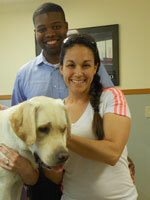 Leon is Katrina Wilberding’s Therapy Dog and also sponsored by Dr. Neumeister. 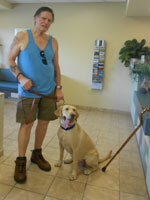 Doctor Neumeister is also sponsoring Honey – Bill Crew’s dog. Two by Two is committed to developing responsible citizens of strong character who care for, respect and appreciate people, animals and the environment. 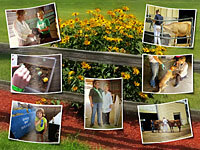 DRHS protects and promotes the well-being of all animals by fostering respect for their inherent dignity. It’s mission is to preserve the natural, architectural and historical resources of the Four Mounds estate, to educate with hands-on opportunities for youth and our community, and to serve through leadership, stewardship, and innovative partnerships. The mission of the Carnegie-Stout Public Library is to improve the quality of life by providing resources that enhance and contribute to individual enjoyment, enlightenment, and knowledge. 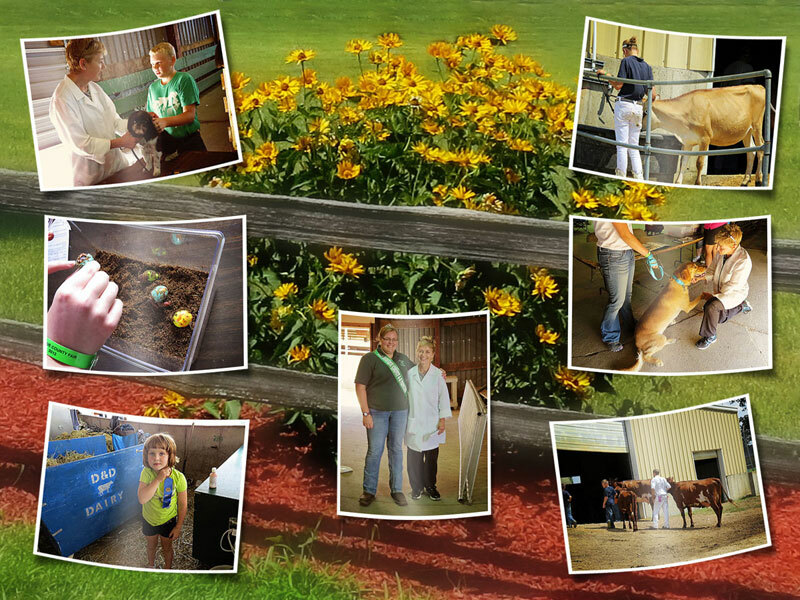 Dr. Neumeister examines the health of the 4H small animals at the Dubuque County Fair.